Mexico is a country that would most likely be negatively impacted by forced climate change, indicates a 2009 report by the World Bank Global Facility for Disaster Reduction and Recovery. 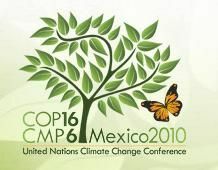 As a result of this fact and the country’s voluntary reduction of greenhouse gas (GHG) emissions, Mexico is an ideal location for the upcoming United Nations Climate Change Conference in Cancun. 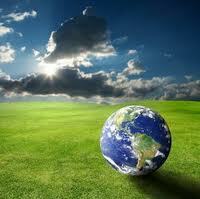 Mexico shines as a developing country which has implemented domestic environmental controls. From the time experts first revealed the negative impacts of climate change on man and nature, Mexican authorities began establishing programs to generate a greener economy and reduce carbon emissions in the atmosphere. The Mexican government’s voluntary program for businesses to measure and report GHG emissions reveals the country’s willingness to implement environmental controls. In fact, the program has been so successful that the number of businesses using it to supplement international protocols has doubled between 2006 and 2009. Mexico’s environmental commitment has even extended to the international community by its participation in the United Nations Framework Convention on Climate Change in 1993, signing the Kyoto Protocol* in 1998 and endorsing it in 2000. 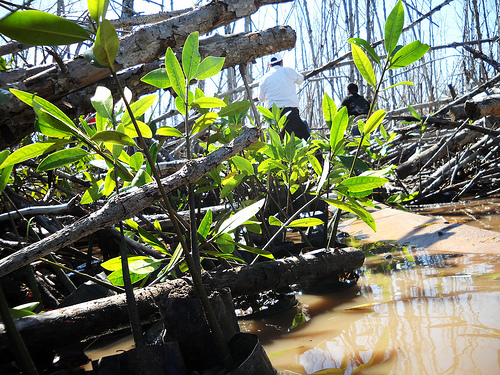 The country’s efforts demonstrate that any country can be environmentally responsible to the full extent of its abilities. (1) Providing support to countries having catastrophic events. (2) Requiring developed countries to provide developing countries with financial and technological support. 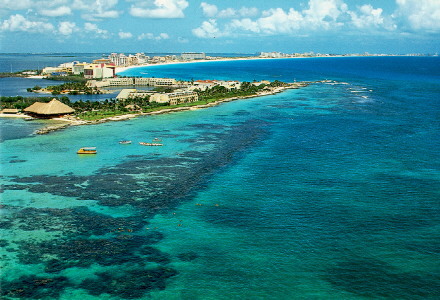 As the climate change conference sponsor, Cancun will benefit from a commitment to plant 10,000 trees and bushes along the main corridor from Cancun to the Riviera Maya, Luis Donaldo Colosio Boulevard, which will help with carbon capture, sequestration, and beautification. 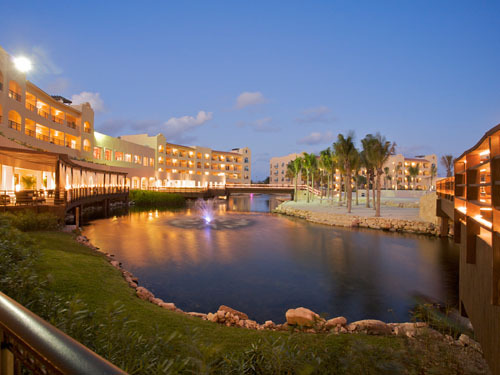 Another benefit of holding the conference in Cancun is the establishment of a residual waste management program that facilitates the processing and elimination of waste products. Recycling containers will be placed throughout the city of Cancun and in official meeting areas of the conference. Our featured Riviera Maya resort, Hacienda Tres Rios, is founded on sustainable tourism practices that preserve the environment while still providing luxury accommodations. It is one of the few truly sustainable resorts in Mexico that exceeds environmental standards because of its environmental friendly design and construction – not just eco friendly practices. As part of its ecotourism program, Hacienda Tres Rios offers guests the chance to make their hotel stay carbon neutral, reducing greenhouse gas emissions through the use of clean, renewable energy for just $1 USD per night. This is only one of many environmentally friendly practices at the resort. Visit Hacienda Tres Rios Resort, Spa & Nature Park’s model of sustainable tourism for more information. * Adopted on December 11, 1997, in Kyoto, Japan, the Kyoto Protocol established customized, legally binding requirements for 37 industrialized countries and the European community to reduce their greenhouse gas (GHG) emissions between 2008 and 2012.